This week, we marked World Pneumonia Day. 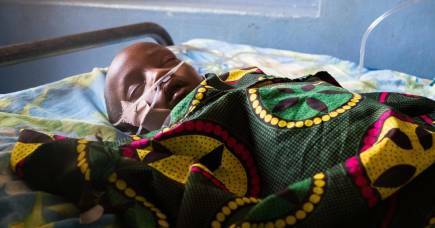 Pneumonia is the single largest infectious cause of death in children worldwide, and about one-third of all childhood deaths from pneumonia are a result of the pneumococcal bacteria. Sadly, most of the deaths as a result of pneumonia occur in poor children from low and middle-income countries. These bacteria are commonly carried at the back of our nose and for most of us, we have no symptoms. They spread through contact with people who are healthy, mainly toddlers, who don’t wash their hands. Although most people who carry this bacteria don’t get sick, carriage of pneumococcus is required before it invades and causes serious, often life-threatening, disease. Many of these deaths are preventable. Although a vaccine has been available for about 18 years to prevent many of these pneumococcal deaths, few countries in the Asia-Pacific region are using it. Often because pneumococcus is hidden - a silent killer. Now, new research from the University of Melbourne has found that vaccination with the pneumococcal conjugate vaccine (PCV) can make a significant difference to the rates of pneumococcal carriage in these countries – at least for the most common types that are contained within the vaccine which cause most of the disease. And this decline occurs not only for children who receive the vaccine but for the people around them, too. The research found that, following the introduction of the vaccine in Fiji, fewer people in the community carried the vaccine types of pneumococcus and this decline was in all age groups tested - by about half in infants that are too young to be vaccinated, but also in older children, toddlers and their caregivers. Pneumococcal bacteria cause pneumonia, meningitis and sepsis - a severe life-threatening infection in the blood. The vaccine, PCV, reduces pneumococcal disease in people who are vaccinated and in people who don’t receive the vaccine but benefit from herd immunity. 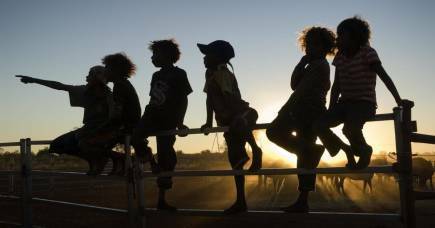 By herd immunity we mean if enough people in a community are immunised against an infectious disease, there is less of the disease in the community, which makes it harder for the disease to spread. The World Health Organization (WHO) and UNICEF have developed the Global Action Plan for Pneumonia that focuses on the prevention and treatment of lower respiratory tract infections in children. One key preventative measure in the plan is vaccination with the PCV. In 2012, Fiji introduced PCV with the assistance of the Australian Government; these vaccines are very expensive compared with traditional immunisations. 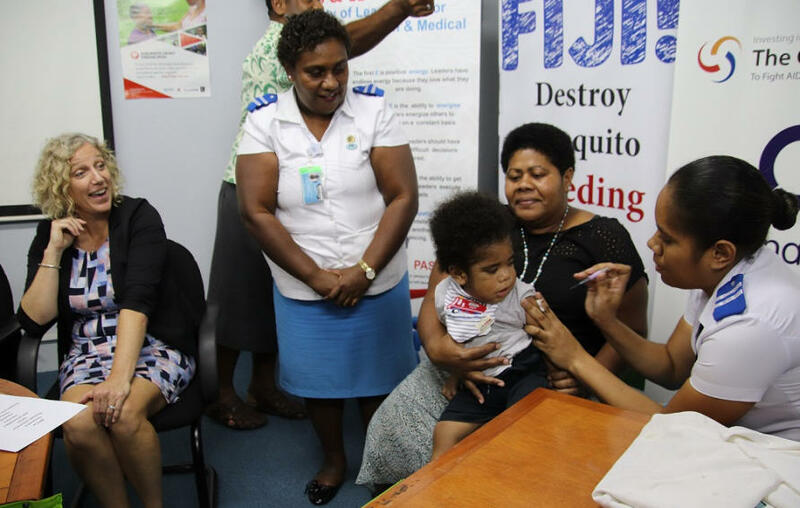 Fiji is one of a few Pacific Island countries to introduce PCV as part of their national immunisation program. As a result, the Fiji Ministry of Health and Medical Services has successfully achieved more than 90 per cent coverage with the vaccine. But as new vaccines are introduced, it’s vital to monitor the impact on disease and to measure the direct and indirect effects of vaccines. To achieve this, we need good surveillance - but this can be hard to realise in countries with fewer resources. 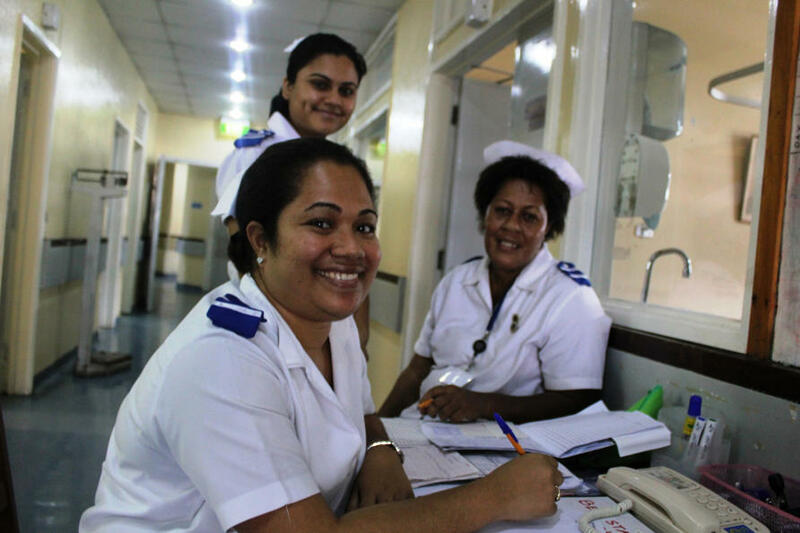 Our research, published in the Lancet Global Health, has found PCV is having tangible beneficial effects in Fiji. We found evidence of direct and indirect effects on babies too young to be vaccinated with PCV and on toddlers, older children and their caregivers following the introduction of the vaccine in Fiji. The vaccine used here protects against the most common 10 of the more than 90 different types of pneumococci. And this information is available as a result of a series of studies that we conducted in Fiji in partnership with the Fiji government, funded by the Australian Government through the Fiji Health Sector Support Program and the Bill & Melinda Gates Foundation to measure the impact of these vaccines. Our project, the New Vaccine Evaluation Project (NVEP) measures the amount of disease prevented by the vaccine and establishes ongoing disease surveillance to monitor any changes in disease, with the aim of helping public health decision-makers and ensuring the sustainability of vaccine use. The team in Fiji undertook annual pneumococcal carriage surveys – this is a swab taken from the back of the nose to check what bugs are present, including pneumococcus. These carriage surveys checked children too young to be vaccinated, toddlers, older children and their caregivers. The swabs were carefully tested using the state-of the art carriage testing methods led by Associate Professor Catherine Satzke and Dr Eileen Dunne. Importantly, the survey can supplement disease surveillance by providing a practical alternative to in places where little or no data is available on pneumococcal disease. It helps us understand which strains are circulating in the community and whether the vaccine is having a biological effect on the population. If there is a reduction in the carriage of pneumococci, then it is also likely there is less pneumococcal disease. The impact of PCV on pneumococcal carriage (or spread) varies - most likely due to differences in epidemiology, vaccine schedules and coverage. Each year, the researchers measure the reduction in pneumococcal carriage in Fiji to check for both direct and indirect protection, and found that about half of healthy toddlers and nearly one third of very young infants carry pneumococci. Following PCV introduction, pneumococcal carriage declined in all age groups. This means that not only vaccinated children will be protected, but also many others in the household. We hope that the results from our study will provide the much needed evidence that the vaccine works and will encourage other countries in the region to include it in their national immunisation programs. In 2018, I received a NHMRC Translational Research in Practice Fellowship to extend this work in Fiji and to support the introduction of new vaccines into the region. 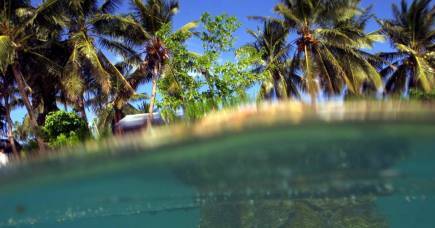 But PCV is costly - so the sustainability of PCV programs in countries like Fiji is at risk. But there is work going on elsewhere in the world. In partnership with the Laos Ministry of Health, we pioneered a novel evaluation method which can augment the WHO’s current PCV impact evaluation guidelines – and it works in the countries that need it most. Will the new global goals do it for women? Laos has one of the highest child mortality rates in the region and we found using our novel evaluation method, that PCV halved the need for supplementary oxygen in children hospitalised with pneumonia. Laos currently gets the cost of the heavily subsidised by Gavi, The Vaccine Alliance. However, over the next few years they will no longer be eligible for these financial subsidies. These results are vital in showing the health benefits obtained from the vaccine and the need for its continuation in Laos. In Laos, Mongolia, and Papua New Guinea, we are exploring an alternative measurement of immunisation coverage as a way to determine whether herd immunity is happening - again using carriage rather than disease surveillance. Meanwhile, the international community is also exploring the possibility of reducing the number of PCV doses from three to two in countries that have ‘mature’ PCV programs and have pneumococcal disease under control. Using fewer doses could be a more cost-effective way of using PCV. But the success of a schedule like this relies on maintaining indirect protection. This study will provide a way for low and middle-income countries to make an informed decision about when to switch to a reduced dose, once the PCV coverage has been established and is achieving the desired indirect effects. These field studies in the Asia-Pacific region are crucial. This collaboration between governments, the WHO and leading international researchers, aims to address key research gaps that will improve pneumococcal disease control in poorer countries. And if the spread of pneumococcal bacteria is reduced then diseases like pneumonia, meningitis and sepsis in children should also decrease. And this means, ultimately, fewer children dying.